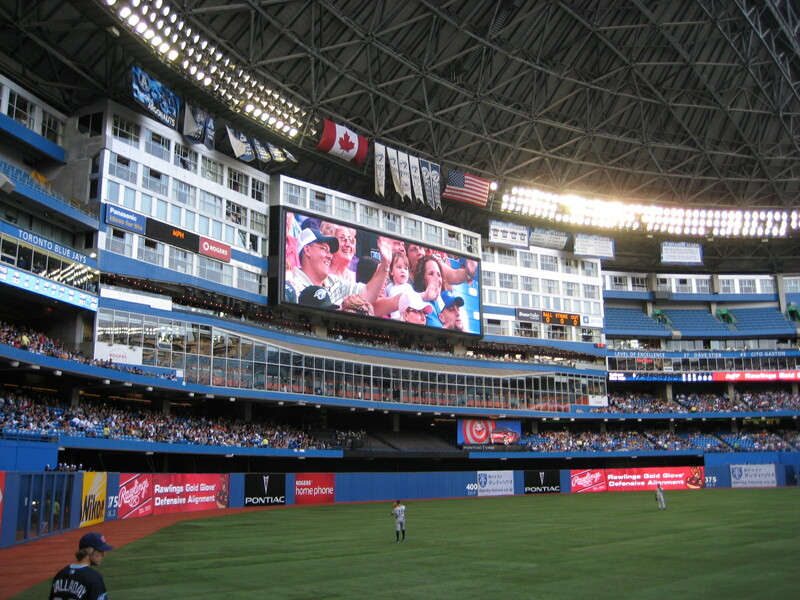 What could be more round than the Skydome..er Rogers Centre. It will be 10 yrs next year since this photo was taken. I remember Mom and my brother trying to figure out who would be pitching for the game and thankfully it was going to be Roy Halliday. The BlueJays were playing the Yankees and tickets were hard to come by. The game was 2 hrs and 20 minutes and would have been shorter but the last guy kept fouling them off until he finally struck out. I rarely watch baseball anymore. I guess because it was a shared pastime with my parents. It was fun sitting at the game thinking of Mom and Dad watching it on tv. They had the running joke that they would look for us on tv..out of a crowd of 50,000.